Much has been said about the brotherhood of the American Fire Service. Put firefighters from neighboring departments together at a conference, watering hole, or other neutral ground and we will buy each other beverages and compare our Maltese tattoos until the wee hours, celebrating our brotherhood of public service. For some reason though, when we broach the subject of change to our practices or operations with our mutual aid neighbors, we suddenly become very tribal and defensive. After all, most of us were hired by a Fire Chief who told us that we were the best of the best, and that the department we hired into was the best in the business. So, obviously our tribe must be the best and our way of training for and responding to emergencies must be the best way. With the exception of the very large metro systems, it is commonplace to rely on one or more mutual aid agencies to fight the majority of our fires. It is not uncommon to have operational difficulties at these incidents in the areas of equipment compatibility, command procedures, terminology, or any other SOP’s that are intended to make things easier. Sometimes these issues are small and easily forgotten after the incident. Other times, the issues are huge and result in chaotic operations with uncertain outcomes where the fire eventually goes out despite our best efforts. In the extreme, we see units deploy with the coordination of a Viking horde attempting to overrun an already burning village. This may result in multiple crews attempting to inflict the same work on the same area of the structure while critical tasks lack attention elsewhere. The IC is usually distracted by someone’s confusion over directions or inability to get the hose from department A to connect to the pumper of department B. If the fire goes out without any tragedy we slowly extricate ourselves from the incident and return to quarters where we talk about how chaotic the radio traffic was and how no one knew what anyone else was doing. We attribute the chaos to the obviously weak IC and lack of training, aptitude, or early childhood development of the crews from neighboring departments. We lament the fact that not everyone is as good as we are and express our collective hope that fires actually do come in threes before we move on to our choice of ice cream for the evening. We need to set aside our tribal ways of thinking and begin to develop regionally consistent practices if we want safe and effective mutual aid operations. We must adopt the attitude of identifying and adopting the best practices for joint responses regardless of which department thought of the idea first. More than ever, today’s structure fires demand a rapid, well coordinated response in order to be handled safely. We cannot afford to let the tempo of operations be affected by operational differences any longer. Agencies that respond to fires together must train together. If at all possible they should collaborate and pool their resources into one joint training division that delivers the same standard training to everyone. Consistent training will result in consistent operations. Training together will identify areas of operational differences for improvement, and identify the best practices to build a regional best practices manual to replace individual department drill manuals; most of them are outdated anyway. Task level standardization eliminates confusion and improves speed on the emergency scene along with adopting a regional command procedure, and training Chief officers together. Invest in realistic simulations where command officers from different departments can practice managing incidents as a team. Command certification using a program like Blue Card will standardize incident operations from the command level down. Tablet Command also supports regional consistency by providing a custom platform for command procedures, resources, and assignments that easily keeps incident management procedures consistent regardless of which tribe the IC belongs to. There are many other areas where we can be better together in a way that is more efficient and cost effective. If we can accept the idea that each department in our region may have at least one practice that they do better than others, we can begin to pool these best practices in a way that we can all support as a brotherhood of tribes that are fortunate to serve the public. 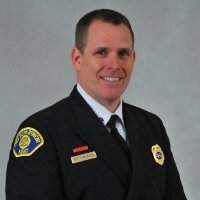 Eric Tomlinson is a Deputy Chief with the Kent Regional Fire Authority in Washington State where he has worked since 1989. He currently serves as the Training Chief for the South King County Fire Training Consortium, a regional training division focused on improving operational consistency, implementing industry best practice, and creating a shared culture of excellence among the departments of South King County.